Would you like to train as a TV presenter, do you ever have to talk to the media in your corporate role, do you want to engage with your online audience Retail Therapy Television offer a number of presenter, business, crisis management media training and workshops. 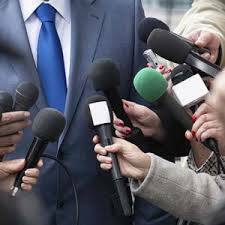 Crisis Media Management How to Handle the Media TV Training, a single day bespoke training course for your business or organisation. You will understand effective crisis media management, interview techniques, studio etiquette, how to handle the live Television interview, experience a live radio phone-in as an expert guest and present a piece to camera PTC on location. 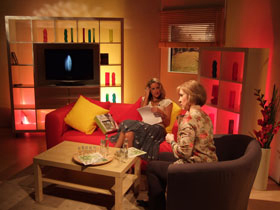 Television Presenter Training for Corporate or Broadcast. Would you like the opportunity to have a career in television? This one-day course gives you the chance to experience a real broadcast environment. You will experience the director talking to you via an earpiece, a live studio interview, use of autocue and guesting on a shopping television channel. This is a fun day that could be the start of a new career! 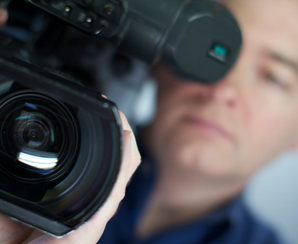 Using Video and Audio for Employee Communications. We take you through the process of developing a corporate internal communications strategy using video and audio. What works and what doesn’t. The power of the smartphone how to use it to shoot powerful content. How not understanding the audience can prove disastrous and why every company should be more media savvy. If you’re in London, Surrey, Berkshire, Hampshire, Middx, or the South East and looking for professional studio training then talk to us. With thousands of hours of expertise in front of the microphone and camera, we can demonstrate broadcast best practice and techniques. The workshops are excellent networking opportunities and team building events. You can contact Retail Therapy Television here.